The Ranik Ultimate Fighting Federation has released the full fight card for their upcoming RUFF 5 event. The show will feature two headline fights as Rodrigo Caporal takes on Wu HaoTian in a lightweight bout, and Jumabieke Tuerxun faces Jiang LongYun in a bantamweight battle. The event takes place at the Hohhot Indoor Stadium in Hohhot, Inner Mongolia, on Sept. 8. 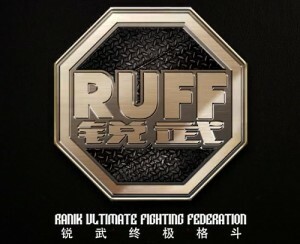 Other then the two headline bouts, RUFF 5 will feature in 11 other fights, pitting some of China’s top MMA fighters against each other in the RUFF cage. Some bouts to look out for on the main card include a flyweight showdown between Liu PingYuan and Zhang MeiXuan, and a pair of featherweight contests that pit division kingpin Wang Guan against submission artist Yuan ChunBo, and BJJ black belt Sandro da Silva going head-to-head with Inner Mongolia’s own Zhao EriDeMuTu. Former two-time China national Sanda champion Zhao ZiLong will make his return to the promotions light heavyweight division at RUFF 5 as he squares off against touted striker Li JiXiang. A couple of fights you may want to keep an eye out for on the undercard is the bout between Thai lightweight Arthit Hanchana and HasiTieer TeerJiang. Also, veteran featherweight Wu ChengJie will make his first RUFF appearance against Dong YanJun. Stay close to Pro MMA Now (www.prommanow.com) for all the latest RUFF news.